Sewing Machine Parts, Labeled | OccasionalPiece--Quilt! 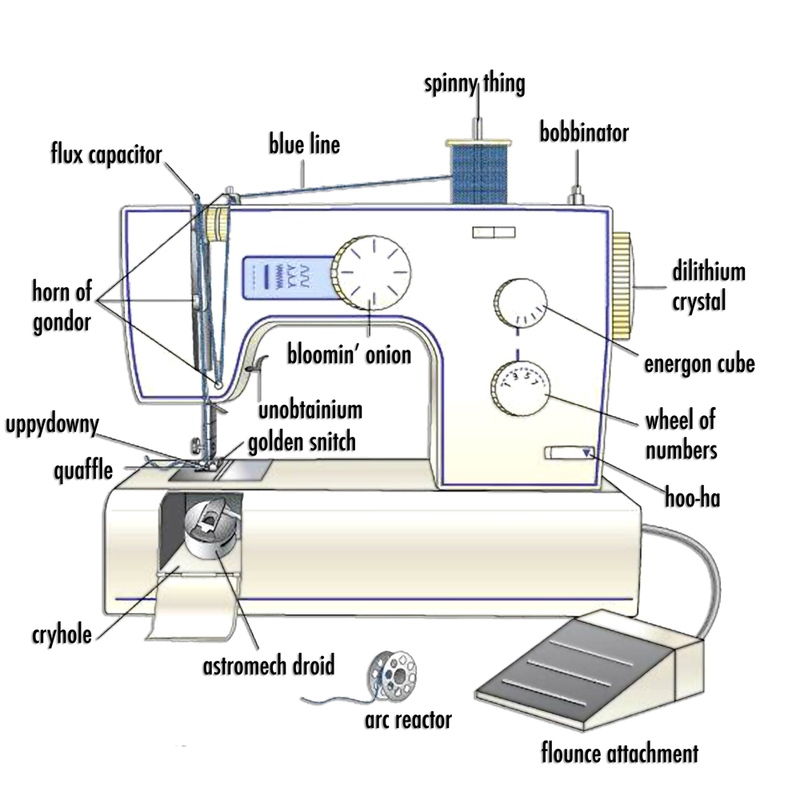 Posted on June 9, 2010 by Elizabeth E.
Having taught in various classes both in the community, for friends and at church, one of the dreaded experiences for a teacher is when student brings in a machine that either a) barely functions, or b) they have no idea how to make the thing sew. There’s a real temptation to stop the forward momentum of a class to help that person get their bobbin case untangled, or help the person figure out why the machine is eating their fabric. I’ve found, though, that it’s better to press on, so as not to shortchange the others who are there, and instead, send vibes of sympathy to the struggling sewer. A good machine–used or new–makes all the difference. yes its funny but, today I have an assignment to print the part of the sewing machine. Then I printed that pic, I didn’t notice that the parts are useless. It just wasted my time.